For over 100 years, Morgan Melhuish Abrutyn has been solving its clients' problems. At Morgan Melhuish Abrutyn, we excel at finding innovative ways to reach our clients' goals in complex, challenging matters and have the results to prove it. We have devoted our practice to representing clients whether individuals and small businesses or large corporations and governmental entities directly and through their insurers in a wide range of civil defense litigation. Dynamic and Persuasive Advocacy Our attorneys are dynamic and persuasive advocates. They draw from a wealth of knowledge in defense litigation in order to provide professional, efficient and effective representation. They are proficient in handling all types of defense litigation from professional liability and insurance coverage lawsuits to personal injury and worker's compensation claims. They regularly defend our clients in lawsuits throughout the state and federal courts in New Jersey and the New York metropolitan area. Effective Disposition of Cases We appreciate that our clients need to know what their options are and how we plan to solve their problems as soon as possible. From the get-go, we use our substantial experience in order to streamline the evaluation of cases and to best advise our clients about what they can expect in their lawsuit. Our attorneys pride themselves on their ability to act as our clients' go-to counselors, as well as their knack to discover unique and specifically-tailored ways to resolve our clients' biggest personal and financial headaches. We are always searching for the best and quickest way to dispose of a case. Our attorneys work to fix their clients problems at every stage of the case whether it is moving to get a significant case dismissed on an early motion to dismiss, searching for a key piece of evidence to support a motion for summary judgment, trying a high-profile case or arguing a significant, law-changing appeal. Balance of Advocacy and Cost-Effectiveness Our attorneys also understand how to balance vigorous advocacy with cost-effectiveness. While we are ready to try cases and pursue appeals when necessary, we also recognize that lawsuits do not improve with age they just cost more. We create constructive partnerships with our clients in order to continually reevaluate our cases to determine the best way to resolve them. As attorneys, responsibility to our clients is our number one concern. We are devoted to our clients and welcome the opportunity to be their problem-solvers. For over a century, Morgan Melhuish Abrutyn has proven this commitment to its clients. The attorneys in our commercial litigation practice have extensive and significant experience in representing clients in complex commercial litigation and commercial and consumer collection claims. Our attorneys combine experience with practical solutions to achieve cost-effective and successful results for our clients. The attorneys in our commercial litigation practice represent contractors, distributors, material suppliers, medical professionals, insurers and collection agencies in various types of commercial matters. They have substantial experience in handling all types of commercial litigations matters, including lien claims, contract disputes, will contests and estate litigation, consumer fraud actions and corporate dissolution matters. 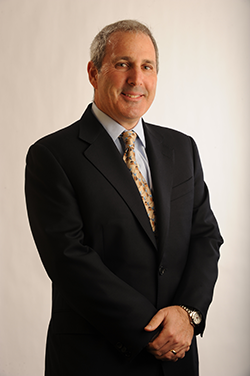 Elliott is the Managing Partner of the firm and Chairman of the Executive Committee. Elliott handles all types of complex civil, commercial, insurance coverage and professional liability matters. 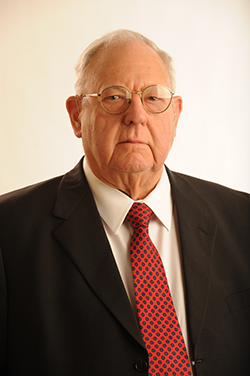 He has amassed more than 40 years of experience resolving these cases whether through motion, trial or alternative dispute resolution while working at the firm. He also an extensive appellate practice and has argued many precedent-setting cases before the New Jersey Supreme Court and Appellate Division. 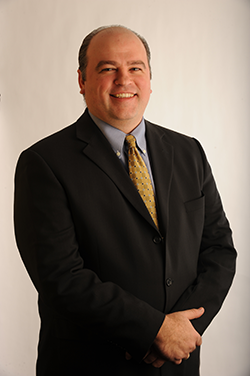 Not only does Elliott have a wealth of experience in litigating claims on behalf of his clients, but he also provides counseling and opinions to his insurer and corporate clients on various legal, business and regulatory issues relating to his practices areas. In addition, Elliott is often asked to speak at seminars and presentations for his diverse group of clients and the many professional organizations to which he belongs. Bob assists his clients in resolving significant exposures involving civil rights violations, employer liability, insurance coverage, premises liability, product liability, professional liability and public entity liability. 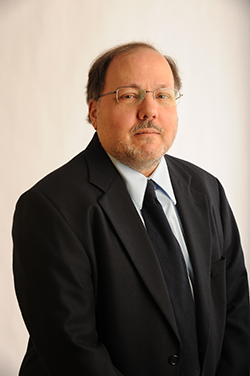 He has considerable experience in litigating these types of matters in New Jersey courts. He is committed to collaborating with his clients to analyze exposures and deliver legal services tailored to the exposures. He understands that careful trial preparation encourages settlement, and when necessary, effective trial and appellate presentations. 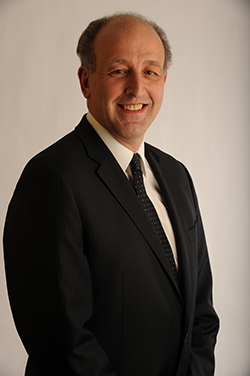 Bob also provides a wealth of knowledge in providing advice and opinions to insurers on coverage issues involving automobile, commercial general, employment practices and professional liability insurance. He also has particular experience in handling coverage issues involving additional insureds, contractual indemnity and uninsured and underinsured motorist insurance. Debbie is an insurance defense specialist having more than 20 years of experience in all facets of insurance defense litigation, including automobile and motor carrier liability (including PIP and UM/UIM), construction defect, premises liability, product liability and subrogation. She is proficient in the early and accurate evaluation of claims and is able to prepare prudent yet aggressive litigation strategies. From pre-litigation to suit inception to case resolution, clients can expect each case to be handled with mutual collaboration and transparency. Debbie is committed to providing her clients the personal attention and accessibility required to exceed their expectations. Penelope devotes her practice to defending workers' compensation matters. She is the Chairwoman of the Workers' Compensation Practice at the firm. In her practice, she has successfully handled all types of workers' compensation claims from the filing of the claim petition through trial and during the appeal process. Prior to joining the firm, Penelope was in-house counsel for Travelers Insurance Company, where she learned the intricacies of the claims process, including the handling of catastrophic claims. Joe represents clients in a diverse practice that includes defending product liability, insurance coverage, construction, medical and legal malpractice, aviation, architect and engineer malpractice, environmental, resort and theme park, toxic tort and general liability matters of substantial exposure. He has tried many of these cases to verdict in both New Jersey and New York. Based on his trial experience in New Jersey, the Supreme Court of New Jersey has designated him as a Certified Civil Trial Attorney. Joe has briefed and argued various significant cases in the state and federal appellate courts in New Jersey and New York. He has numerous precedential reported decisions as attorney of record. 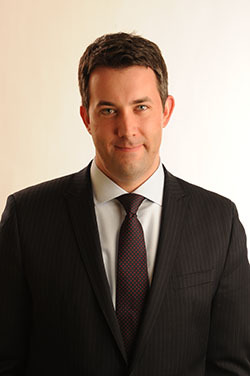 Joe is a member of the firm's Executive Committee. 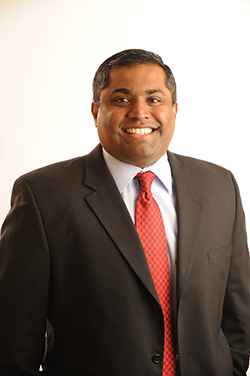 Shaji is an accomplished litigator with a diverse range of experience handling all types of cases. He has successfully litigated various types of claims in New Jersey and New York. He focuses his practice on matters involving professional liability defense (including lawyers, insurance producers, mortgage brokers and real estate agents/brokers), complex civil litigation and insurance coverage disputes. He also has successfully handled environmental, commercial litigation, bodily injury and property damage claims. Shaji is also actively involved in his local community. He serves on the Board of Directors for the Rotary Club of Morris Plains and the Republican Club of Morris Plains. 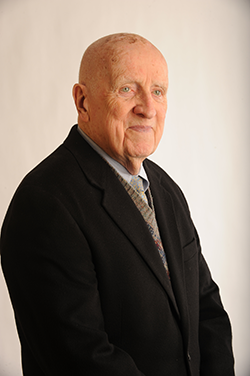 He also is an Elder and a member of the Board of Trustees for the Presbyterian Church of Morris Plains. 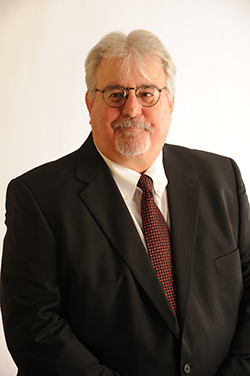 Len concentrates his practice in defending significant commercial motor vehicle, personal injury, employment, civil rights and professional liability matters. 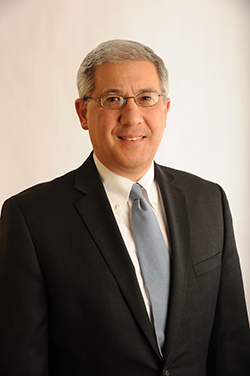 He has tried numerous cases to verdict in the state and federal courts and is recognized by the Supreme Court of New Jersey as a Certified Civil Trial Attorney. In addition, Len has handled precedent-setting appellate matters before the Supreme Court and Appellate Division of New Jersey, including the Johnson v. Braddy Trucking matter. He has also successfully argued appeals before the United States Court of Appeals for the Third Circuit. Len also regularly represents clients in administrative, disciplinary and labor hearings. At the request of his colleagues, he also serves as a mediator and arbitrator. Len is a member of the firm's Executive Committee. 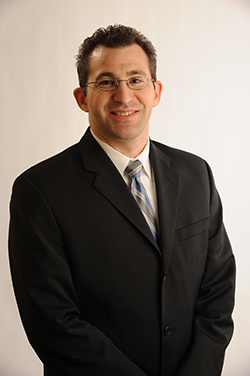 Jeff represents clients in complex commercial, employment, personal injury and professional liability matters. He defends clients in these matters in the state and federal courts in New Jersey and New York. He has significant experience in defending attorneys, architects, engineers, insurance producers and real estate agents and brokers in malpractice actions. He also has a substantial practice defending business entities and individuals in employment discrimination matters. In addition, Jeff is an skilled appellate advocate. He has successfully argued matters before the Supreme Court and Appellate Division of New Jersey. Bob defends clients in wide array of commercial, personal injury, product liability, toxic tort and professional liability matters. He has substantial experience in defending manufacturers in technically complex matters involving substantial bodily injury and property damage, including manufacturers of asbestos, chemical dyestuffs and colorants, motor vehicles, pesticides, pharmaceuticals and recreational equipment. In addition, Bob has a significant real estate practice. He represents clients in residential and commercial real estate closings. He also handles lease, loan and contract reviews and negotiations. 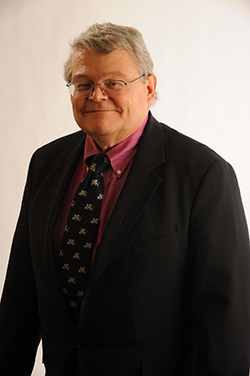 Jim has more than 50 years of experience in handling a wide range of complex civil matters. He has significant and substantial experience in defending high-value commercial, employment, insurance coverage, personal injury and professional malpractice claims. He also has extensive trial and appellate experience. Henry specializes in handling complex insurance coverage disputes and acts as coverage counsel for large national insurers. He also has wide-ranging and extensive experience in litigating and trying many different types of defense matters, including commercial, product liability, toxic tort and professional liability. Tom is an experienced and effective advocate who represents clients in a wide variety of complex civil, commercial, insurance and professional liability matters. He focuses his professional malpractice defense practice on the representation of attorneys and insurance brokers and agents. He also regularly represents insurers in complex coverage and bad faith disputes. In addition to his litigation practice, Tom has significant experience in providing counseling to insurers and corporations on various legal, business and regulatory issues. 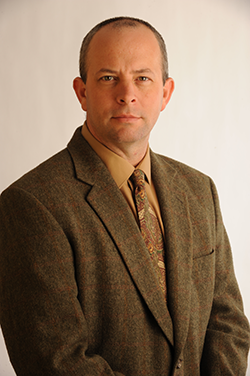 He specializes in providing opinions to insurers on coverage issues involving all types of insurance policies. Tim has litigated virtually every type of complex civil matter including cases involving municipal and public liability, insurance coverage and environmental contamination. 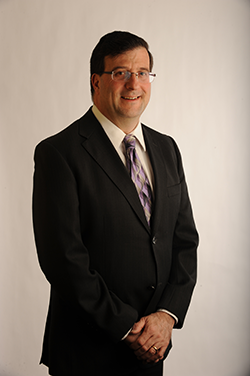 He has significant experience in handling all phases of litigation, including trials and appeals. He also regularly represents his corporate clients in transactions. Prior to joining the firm, Tim worked for the environmental consulting firm of Gershman, Brickner & Bratton in Washington, DC. He also has experience as an adjunct professor for the National Institute for Paralegal Studies, where he taught civil procedure, tort, criminal and contract law classes. Meredith has substantial and wide-ranging experience in defending all types of professionals including attorneys, accountants, architects, engineers, insurance producers and real estate agents and brokers in professional malpractice actions through all phases of litigation in New Jersey and the New York metropolitan area. She also has extensive experience defending individuals and corporations in complex commercial, employment and personal injury matters. In addition, Meredith is actively involved in her community. She has been a trustee of the Jewish Women's Foundation of New Jersey since 2006 and is currently serving a two year term as co-chairperson of the Foundation. She also previously chaired the Foundation's Grant Committee and was a member of the Nominating Committee. Meredith is a member of the firm's Executive Committee. Paul has litigated all types of employment, discrimination and personal injury matters and environmental coverage disputes. 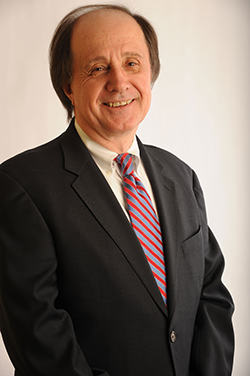 He has also handled construction and professional liability disputes, property damage matters and the defense of civil rights, harassment and reverse discrimination litigation. In addition, his practice has included multiple appearances before the appellate courts of New Jersey on issues involving the New Jersey Tort Claims Act, environmental insurance coverage and premises liability. 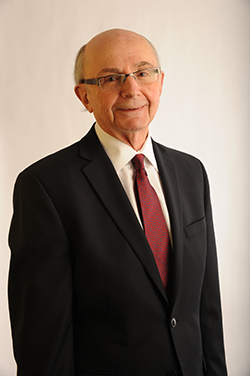 Paul has also served as an Arbitrator and Bar Panel member in several counties throughout New Jersey over the last three decades. For over thirty years, Art has represented creditors in collection and subrogation matters in state and federal courts in New Jersey. He has substantial experience handling commercial and consumer collections, with particular emphasis on the representation of insurance companies and brokers in the collection of unpaid premiums, property damage subrogation, enforcement and recovery of workers compensation liens. Not only is Art an accomplished commercial litigator, but he is also an active contributor to the committees shaping New Jersey collection practice. He was a member of the New Jersey Supreme Court Committee on Special Civil Part Practice from 1986 to 2006 where he helped draft New Jersey's court rules dealing with procedures for the collection of judgments. Art was also appointed to serve on a special New Jersey Supreme Court committee on Post-Judgment Collection Procedures in the Special Civil Part. He was chairman of the Post-Judgment Sub-Committee from 1992 to 2006. He currently is a member of the New Jersey Supreme Court Committee on Civil Practice, where he acts as the representative of the New Jersey Creditors Bar Association. 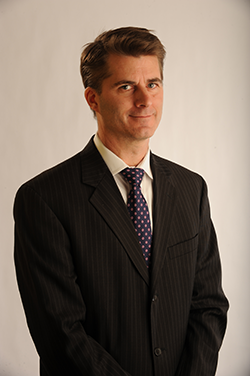 Leonard is an experienced litigator and trial attorney. A veteran of over 100 trials, he has tried 36 cases to jury verdict in State and Federal Courts. His practice has included representing both defendants and plaintiff's in claims involving New York State Labor Law, dental malpractice, premises liability, brain injury, catastrophic trucking/automotive liability, Workers' Compensation, products liability, elevator/escalator, false imprisonment and employment litigation. He has also lectured and presented New York State accredited CLE seminars on various topics, including depositions. Leonard is also actively involved in community affairs. He is presently the co-director of a pro bono legal clinic that helps individuals with Landlord/Tenant issues, PTA President (2014-2015) for a New York City public school and has served as a Judicial Delegate to the New York County, Supreme Court Judicial Convention. In May of 2014, he was honored with a proclamation by a New York State Assemblyman for his pro bono activities. In the past he has also served as a Small Claims Court arbitrator for New York City Civil Court. Pat's litigation and commercial experience allows him to provide sound legal advice and strong representation to his clients, including software companies, general contractors, subcontractors, suppliers, business owners, accountants, and fiduciaries including executors and trustees. Pat will work with a client to achieve the client's goals in any legal matters, using not only the law but a common sense and practical approach, always keeping in mind the costs of risks of litigation. 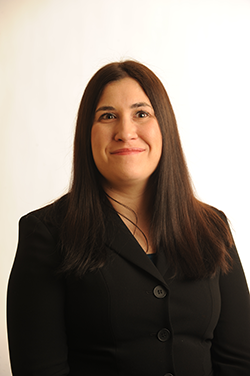 Andrea specializes in representing defendants in all types of personal injury, property damage, product liability and professional liability matters in New York federal and state court. 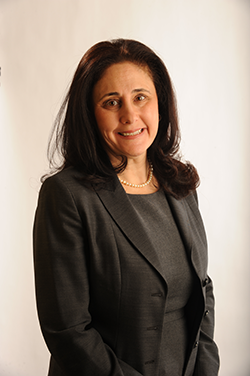 She is a knowledgeable and skilled litigator that has experience in handling all phases of litigation. Andrea is also fluent in Spanish. 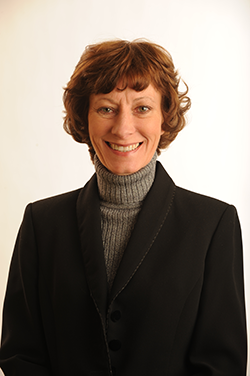 Kathleen dedicates her practices to defending workers' compensation matters. She regularly handles all types of workers' compensation claims through trial and on appeal. 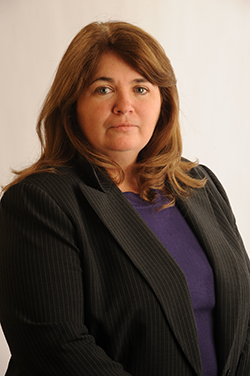 In addition, Kathleen also has extensive experience in all facets of the litigation process. She has not only defended clients in Division of Workers' Compensation, but also in various venues, including the municipal, state and federal courts of New Jersey. She has tried cases through verdict in the state courts of New York and New Jersey and before the Division of Worker's Compensation. She has also argued before the Appellate Division of New Jersey and successfully opposed a Petition for Certification before the New Jersey Supreme Court in the matter Ferraro v. Pepsi Cola, Inc., 205 N.J. 99, 13 A. 2d 362 (2011). Prior to joining the firm, Kathleen worked as staff counsel for a major insurer. She also previously worked for a defense firm where she represented clients in workers' compensation, public entity liability, premises liability and professional malpractice matters. Kathleen also is active in the legal community. She was appointed by the Supreme Court of New Jersey to the District IIA (North Bergen County) Ethics Committee for the 2010-2014 term and reappointed for the 2014-2018 term. She is also active in Women Lawyers in Bergen and is the Immediate Past-President of the organization after having served as President for two years. 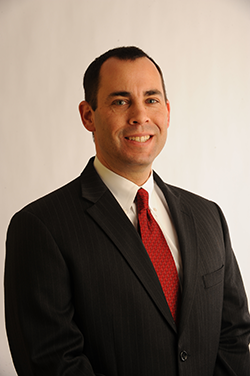 Josh regularly defends clients in significant and complex commercial, employment law, professional liability and personal injury matters in New Jersey state and federal courts. He has substantial experience litigating these claims and is a dedicated client advocate. 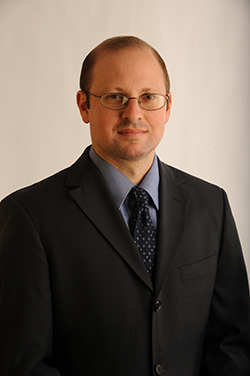 Eric has significant experience defending all types of professionals including attorneys, architects, engineers and insurance professionals in the New York and New Jersey courts. He also has extensive experience in representing insurers in coverage actions and defending contractors, developers, manufacturers and businesses in complex personal injury, property damage, product liability and construction matters. Debra focuses her practice on professional liability, employment litigation and public entity defense. She has significant experience litigating these types of actions in the state and federal courts of New Jersey.